HotelTonight brings you amazing hotel deals for tonight, tomorrow and beyond! Hotels give us discounts on their empty rooms and you reap all the benefits. No more endless scrolling to find the perfect hotel with the best rate. Three taps, one swipe, and you’re booked! Download now to start planning less and living more. From top rated luxury hotels to tried-and-true favorites to cool, one-of-a-kind boutiques, we work with great hotels across the globe (and only partner with hotels where we’d wanna stay, too.) 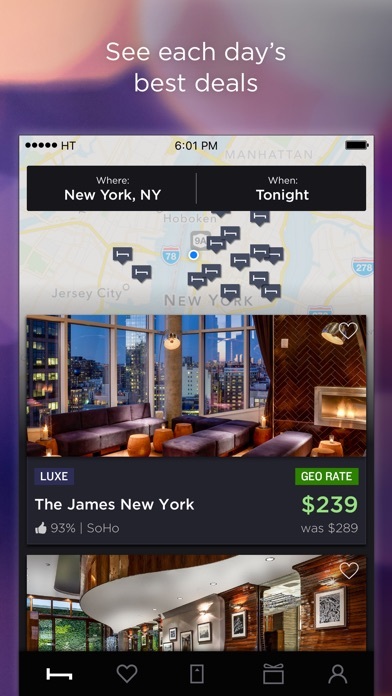 HotelTonight has everything you need in a booking app: • Jet setter? Careful planner? All good. Book tonight, next week, or up to 100 days in advance • US, Europe, Latin America, Asia + beyond! We’ve got the hookup for discounted last minute hotel bookings wherever you want to be around the world • Hotel descriptions boil down to the three reasons why we love it (and why you will too) • Simple categories (like Basic, Hip and Luxe) to make it easy to find the perfect hotel, inn, bed and breakfast, motel, resort or other lodging for you • Searching is easy. Find hotels by city, attraction or map location or filter by your needs. Traveling with Fido? Toggle on “pet friendly.” • Need a second opinion? See ratings, reviews and photos from fellow bookers • Geo Rates provide even more savings off our already-discounted rates, based on your current location (find these deals marked in green in the app) • Our HT Perks program makes loyalty a breeze - the more you book, the better our deals get! Level up to claim more discounts and rewards • Daily Drop rocks awesome surprise deals. Just swipe to unlock the extra special deal of the day • 24/7 customer support (from real, live, nice people) for every booking • Access to HT Pros, our in-app concierge (a real-live person at the ready to make your stay great, from grabbing you an extra toothbrush to making a dinner reservation at a hot restaurant or bar near your hotel) • Supports paying with Apple Pay! Some ways you can use us: • Happy hour is never just an hour. You can book where the night takes you • Skip the commute. With a same day deal, traffic can wait • Let’s have a threeday! Long weekends just got better with killer hotel deals • Business or pleasure - why not both? Lock down biz travel in 10 seconds then book another night just for fun • Go big on your bucket list and score a luxury trip to Paris on the cheap • Group travel made simple! Book multiple rooms in Napa for the ultimate friends weekend • Summer road trips just got more fun. Find new hotels at every stop and save • Surprise! Last minute vacations are the best gifts. Text the BFF “Vegas, tonight” and the rest is history In the Press: • “The app made its name with last-minute deals, but you can plan as far as 100 days out and even score baller rooms for way less” - Conde Naste Traveler • “HotelTonight what did I do without you?” - Kelly Osbourne • “You can get great, cut-rate deals on hotels… including luxury hotels.“ - Jeff Rossen, Today Show • “My fav travel app.” - Samantha Brown, Travel Channel Host • “I love saving on last minute bookings using the HotelTonight app.” - The Points Guy Let’s connect: • Instagram: @HotelTonight • Twitter: @HotelTonight • Facebook: facebook.com/HotelTonight • Got feedback? We’re all ears. Hit us up at: feedback@hoteltonight.com Hotels we love. Deals you’ll love. Tonight, tomorrow, and beyond - book awesome hotels at amazing rates. Travel doesn’t have to be out of reach. Whether it’s a last minute weekend getaway or a dream vacation, we’ve got you covered. 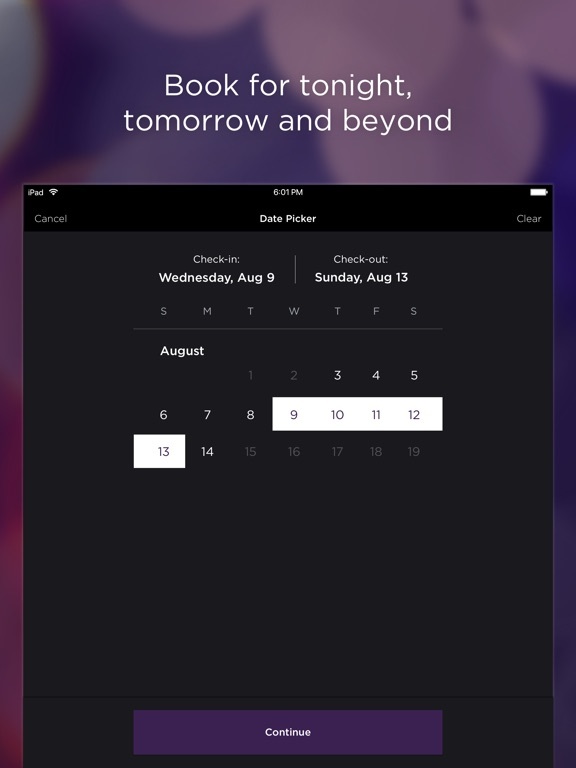 Download HotelTonight today to start planning less and living more. Hi, I just completed a stay with HotelTonight and was very disappointed with their service. While the hotel was great, the HotelTonight billing was very misleading. The hotel charged an “amenity fee” which I was expecting but HotelTonight also charged me the same fee. When I inquired about the double charge, HT support would not explain what their fees covered and stated I was out of luck. Will not use again and do not recommend. HOTEL TONIGHT booking was relatively seamless. Hotel Tonight was easy and flawless to book through. My hotel readily welcomed me (as always) but it was clear to them that the room had been paid for. (Prior visits they had to research the booking company.) The online price was slightly lower than what I actually paid (with taxes). That was the only flaw in the process. I’ll use Hotel Tonight from now on. I accidentally booked the wrong date for my trip and they helped me get my booking changed and was very quick and understanding. They were amazing and truly a lifesaver! I’m so glad that they are always here to help at anytime!! Just amazing! Can’t ask for better service! Such a great app! Would have a layer affect of options that extend from free rooms from a game like karma similar to the Hotels in DC. You work for the city doing either self management or from city works who can give them tasks of a more valid reason of benefits. Preamble 0. With a shield affect to the permissions and rights of that that was provided by to and from the government department DHS.mil warning applications of DoD officers are a required and mostly fun. 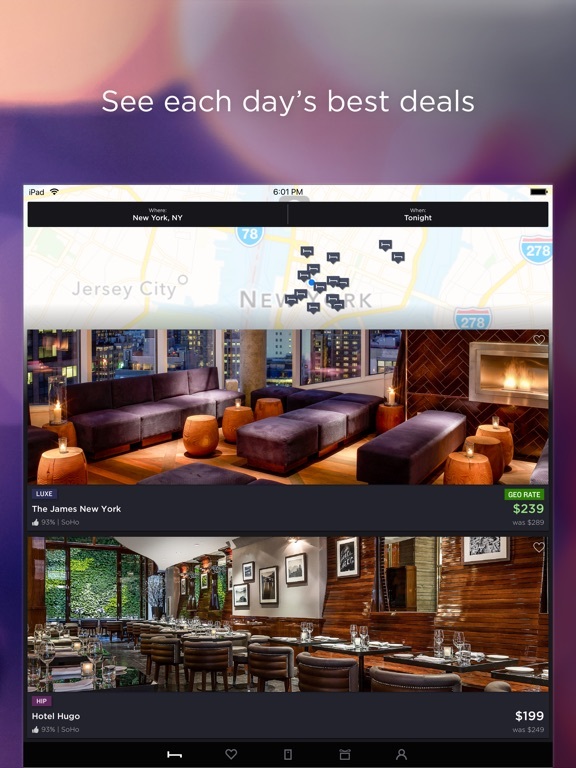 This app is easy to use and has great deals on amazing hotels. This app is easy and fast! Super easy to use. Great hotel selection. I’ve booked dozens of times in the last three years and the only time i had an issue the customer service was great. Gives us awesome deals, love this app! First let me say I’ve used this service and the app are both great. Now the horrible part, their customer services is by far the worst experience I have ever had. An unauthorized charge to my account and the refuse to help, and hung up the phone on me. Customer service refused to help in any way. Stay away from this app if you value customer service if any kind. Spectacular and easy to use. This app is wonderful for last minute travel, but I’ve grown to love it for scheduled travel because of the awesome perks that are easily attainable. 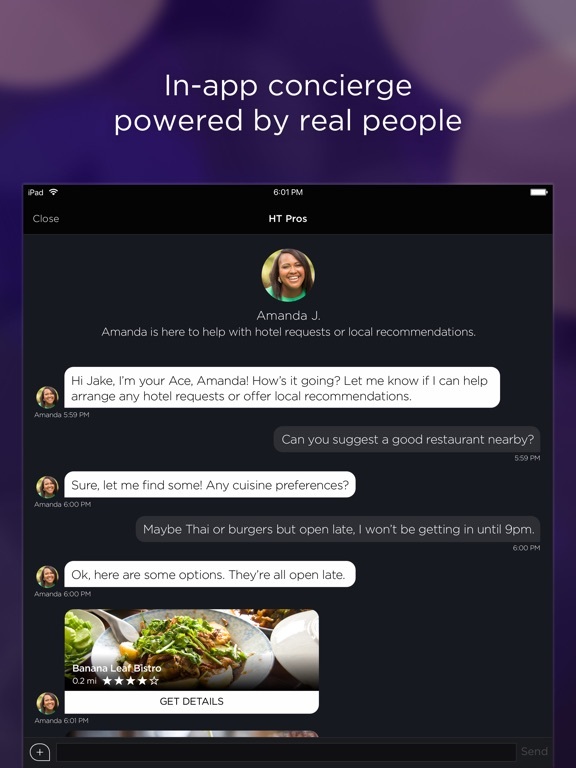 The in-app concierge is helpful too! Excellent App... Always Great Deals! Hotels Tonight never fails to provide a better price than those available on other sites. They are now my go to when I need a hotel room! Have used this app so many time when I’ve needed a last minute room. Now I’m using it to book a few days out as well. Love the great deals! I made a hotel reservation in seconds for a rate that was unavailable on the hotels website. Love this app! Love this App always get the best deal! Seriously, I like this app a lot!!! They offer great options on hotels and their customer service is top notch. I always use them and have yet to be disappointed. Thanks HT! I can always count on Hotel Tonight to find a wide range of hotels. I really like the fact that the more you use it the greater your discount. The hotel descriptions are pretty accurate as well. Thank you Hotel Tonight! The hotel was very clean, the staff was courteous and the location great. The breakfast was yummy, we would absolutely stay here again. I’ve gotten great prices every time I’ve used it. The designers did a great job in keeping the users engaged with promotions and unlocking certain perks. I’ve been wasting my time cross checking their prices against Hotels.com. Sticking here so long as they keep up the great prices and app quality. What a sorry disappointment: Zero Stars. I’d used this app happily on several occasions, then tonight I arrive at my Hotel-Tonight-prepaid hotel at 11:30 PM, and they’ve already sold their last room to another party an hour before I thought I’d booked the room. What a mess. Unfortunately, even though I used Hotel Tonight numerous times and recommended it multiple times to my friends, the moment I had an issue with one of the hotels I stayed at it was the moment I realized that their customer service is absolutely terrible. I am very disappointed and will never use them again. Hotel tonight advertises cheap last minute hotel deals, however you can find cheaper deals with much more flexibility than Hotel Tonight. Hotel Tonight’s rules are draconian and their customer service is useless. I accidentally booked a room for the wrong night and they wouldn’t budge to move it to the next night even though I was willing to pay any difference and their was availability. I ended up having to pay for a room I couldn’t use. If you call the hotel directly for help they can’t help you either because of their contract with Hotel Tonight. Save yourself the aggravation and money and use a different website. I would give them 0 Stars if it were possible, but I am forced to give them 1 Star to be able to post a review . NEVER USE HOTEL TONIGHT!!!!!!!!!!!!! Hotel tonight is the best booking app! I rave to anyone who will listen about how great hotel tonight is. They have a fantastic selection of hotels to choose from including 3 & 4 star hotels. I recently booked the wrong date by accident and their customer service helped me fix the issue and get to the hotel we needed that night. Booking is easy and quick and I know we’re always getting a great value. Prices here are often lower than booking direct through a hotels website! 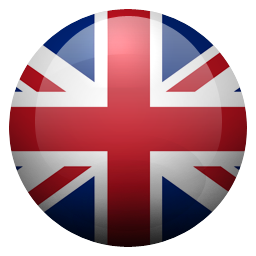 I love this app simply AMAZING!!!!! Love this app once you reach a certain level your price are like nothing else u can find anywhere ! I love this app it gives me convenient prices low prices and it’s quick service. The room reservations are always good to go no confusions with the hotel and perfect up-to-date pictures and nothing is ever incorrect great service!!! Great site, convenient and easy to navigate. Super easy app to use. Not sure about the taxes and “fees” added. Would be nice to see ahead of the final booking. I am a spontaneous traveler( or should I say, my family) with a need for flexibility! This app is great for that! Have used it in the USA and Canada with great choices! Great for road trips!! Fantastic app. I travel a lot and always leave My options open. Hotel Tonight gives be the best prices for the best boutique and luxury hotels at the last minute In almost every country. Plus the more you use it the more perks you get. Try it !!! Easy to use. Found great deal. I’ve used this app a few times now and it’s great. 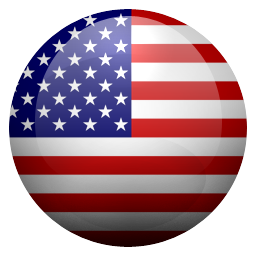 Intuitive to use and I’ve found great deals at cool hotels, most recently in Seattle. Super easy to use & convenient! Traveling across the US & now in Ireland, road tripping- it has come in handy & we’ve been able to book some really cool places. App is easy to use & very intuitive. Love the H outline too, cute touch. If you ever find your self Needing a refund. Don’t waste your time contacting hotel tonight customer support. Had it happen to me twice already. Not worth the headache. Huge value - great hotels - easy - no issues - love it. Have used this app several times. Have stayed in Winnie several times. Accidentally hit the Motel 6 and went with it since I did it. When I arrived the parking lots looked like a good place to pick up a prostiute and STD. After going into office it was pretty much, this is it take it or not. Room was good place to get Staph infection. Left and didn’t stay there. Went to my normal hotel and could get money back. Was ok with that too since I’m sure it would have cost me more in some other way medically or with exterminator for my luggage. I was satisfied with this app until I booked a hotel during a busy season. Even the basic hotels were expensive at that time. I booked through Hotel Tonight for $160, and then I arrived at the hotel, which wouldn’t let me check in without paying an additional $100 deposit. I understand this is sometimes the policy of a hotel. However, I don’t understand why Hotel Tonight didn’t inform me of the deposit before I booked. They should’ve. I won’t be using this app anymore. Best prices and easy to use. Such a great app. Very easy to use and has great deals!! 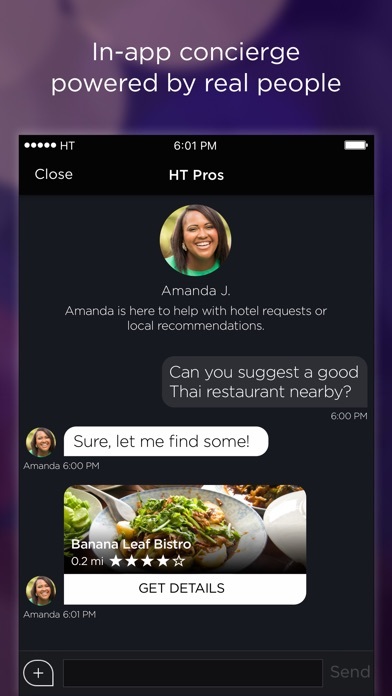 HotelTonight uses Expedia, which donates to Planned Parenthood. The last time I stay in one of your approved hotel, I was very disappointed. Please make sure my stay in the one is great. I am coming with my family. And I don’t want the worst room in the hotel. Very clean, easy to use app. And of course, couldn’t be the price! Often times options are wonderful, but Hotels Tonight presents simplified options with the best deal; simplifying the decision making process. Made a mistake booking the wrong dates. When I immediately called to make a correction, I had a hard time understanding the hotel tonight employee because I believe English was his second language. After 3 separate phone calls, and almost a hour on the phone, HT only wanted to give me a 50% refund. Frustrated with their “resolution” I made a 5 minute phone call with hotel directly I had the reservation I wanted and was on my way. As others have said, don’t look at the “original” price - only the discounted one that’s being offered. Those “original” prices are the maximum that would ever be charged for that room. If you like the discounted price, go for it. I have found some good deals, but I also check other apps for comparison. Also found some hotels that don’t appear elsewhere. My first experience with this app and it was horrible. I booked two nights in a hotel, just an hour before arriving. When I completed check-in, I noticed the rate was lower than what I paid in the app. I decided not to call and argue this over the phone, to avoid getting me in a bad mood during my vacation. So a few days later I called with this information and proof (receipts). They told me I had 2 hrs to call and request a refund! Even if I had receipts that proved that it was within 2 hrs that I booked the room and completed the check-in. Bottom line horrible customer service and horrible experience. I deleted the app! Good deals on last min hotels. Good way to see different hotels when my family and I travel. I have been traveling a lot back and forth between NJ and Florida and I always refer to this app first. I even check it before I reference Airbnb. I feel like not enough ppl. Know about it, so I am constantly sharing the info with ppl. I know so often we sometimes find ourselves nervous waiting for the rates to go down on a hotel, but if you keep checking, the rates go down an absurd amount and you always end up pleasantly surprised....and that is just bc we are waiting for the rates to go down even more than they already are. Not only do you get an awesome rate, but the app provides you with more information than the original hotel’s regular app usually does. Hotels are not cheap anymore. Rarely can you find a decent place to stay for a night for under $150.00. I found a an amazing suite for NEW YEAR’s EVE AND the following night for less than $150.00 in TOTAL for both nights. The hotel provided complimentary breakfast and dinner with beer and wine included each day. They even had quality hair products in their bathrooms - Paul Mitchell. The pool was wonderful, and the service was excellent as well. We really hit the jackpot and we truly had Hotel Tonight to thank. My friend is coming back up to visit in May, and I am already searching Hotel Tonight and having them keep an eye out to alert me when an even better deal shows up. Thank god this all happened long before my reservation or I might have had a real problem. Oh yeah... hotel tonight. Airbnb, good luck. Love the deals but the app can be wonky! This is the second time that I got locked out at payment....email communication is slow with them. However over the phone CSR helped me out BUT this is an app! I’ll keep using great deals. I had this app when it first debuted but waited a while to use it but I’m sure glad I did. I’ve used it 3 times in the last 6 months and I will probably keep using to go on short weekend trips. It’s a great way to look a few cities up any direction and decide where to go when that cities hotels are cheap. Naggy pop ups are unbearable. I got charged a “resort fee” that was not identified on the hotel description and at the time of booking. Only after I received my receipt did that come up. I find that highly deceptive. I had a problem and they were willing to help solve it. For which I am grateful. This app is so easy to use! Very helpful info on site!! I often get booked to do conferences, seminars last minute which could be in any city. Hotel Tonight is great since I don’t need to book until the day of, and its often at a discount. Allows me to focus on the important stuff during the day and relax in the evening. I’m giving this app the lowest rating because the do not make it clear there are no refunds on any of the bookings you do through them. That verbiage must be hidden somewhere in the fine print for you NOT to see until you need to get a refund. Great app where you can book your hotel with ease. Straight forward! Be prepared to show up at a full hotel with no sign of your reservation. And to make the experience complete, it took Hotels Tonight’s customer service 12 hours to finally get back to us. It’s not fun to arrive tired at a new city with no place to go. Always the best rates no doubt!! This app is great in a pinch and when on the road and need a last minute place to stay. Love this site for last minute deals. The quality of hotels is usually high end too!!! I used this site once and I will not be using it again. The hotel knew nothing about my room purchase from this app. The confirmation number Beds Tonight gave me meant nothing to the hotel. I tried contacting the app that is supposed to be available 24/7 and they weren’t. After an hour of back and forth at the front desk, I finally got a room but after all the terrible hassle, the rate on the app that I paid was more expensive than the hotel would have charged! Be aware, this site is not straight forward about additional fees the hotel will charge per night. So the “deal” they claim to provide you is actually a lie. It ends up being the same price as other site which are much better at customer service (Expedia, HotWire, Travelocity) use any other site but this! I always find the best hotels! It is super fun to know I can book last minute when I need to travel on a whim! I only wish this had filters like pet friendly, So I don’t have to go through each hotel to check. It’s not optional for me to travel without him and this waste my time. I have found many great deals through this app. I’m patient and sometimes wait until the day of check in to book. Maybe I am not prissy enough but I was banned before ever got a chance to use it. If you are normal working class, find a different app. I have a debit card, travel for work and was banned, period. This app is great! Saves me so much money! This app is great (so much I decided to write my first review)! I typically love planning, but I do it so much at work I have no energy to come home and plan a getaway. This app has allowed me to getaway with confidence knowing that I'm being recommend great deals at great hotels. No more scouring the internet looking for the right room at the right price, in fact too many options can be overwhelming! 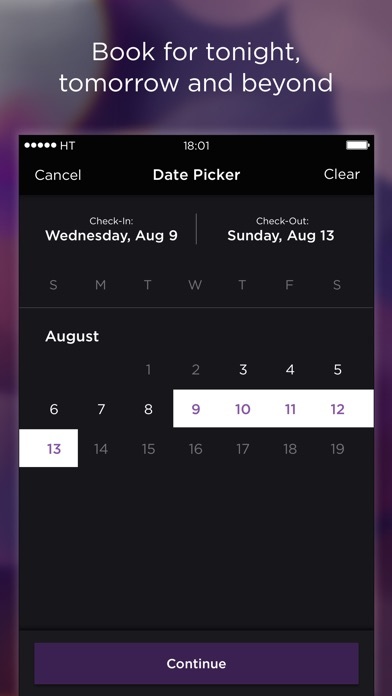 In the app you pick out your dates and the app narrows it down to a handful of places based either on your location or you can enter the city you are traveling to and then from the list you select the hotel that best meets your needs and budget. We traveled to Portland with our small dog and the app did a great job listing hotel amenities which included pet acceptance/fees as well as parking fees -I guess I would encourage the developers to include filters, that way it narrows down options instead of reading through all the listings wether or not they accept pets, but not a deal breaker since the list of options is not extensive. The app found us an amazing locally owned boutique hotel located downtown at a good price. We decided to change our plans and stay an extra two nights after finding another hotel (better rates) through the app nearby to give us more time to sightsee! The concept of the app is genius. Prices are good and fair for last min booking. Would be great if they could lower the prices after a certain time frame and/or offer a rate for after 2am check in and same day check out. Sometimes you just party too hard that you just want to crash in a nice bed till 10am and leave. (This is directed to the business development team when picking new places) But I realize that third party bookings are not the main revenue generator but at least treat us with some kind of respect. We filled a room for a very low price that might have been empty. We helped you achieve 100% occupancy and made you look good to corporate... if you have a bigger room, maybe a upgrade would be nice because after that, I’ll always try and stay with you. I rather stay at the same place then different ones... in the end I paid for something. If it’s the quality you want to take out, fine but keep my check in process the same as others. And maybe offer more upgrade options... giving me a bunk bed for me and my man to sleep on after a club night is not cute. At least tell me your going to put me in there. POD hotel was smart and made separate category’s for the bunk rooms, they rest of you should too. 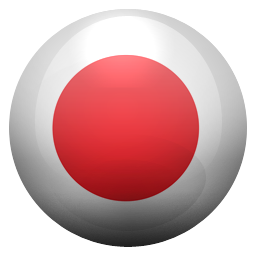 I have used this app many times and have had great experiences with it. However, recently I a very bad experience staying at a hotel in which The hoteltonight App had described as a suite. The room was a box with a broken phone and stains all over the comforter. The Hotel was booked so there were no other rooms to choose from and when I complained to hoteltonight they simply offered a $25 coupon when the room cost $388. The hotel itself was going to cut my price in half (because I initially was charged from both places). After going back-and-forth for hours, over the course for 2 weeks in the chat section of The app, I got nowhere. Finally, I was able to speak with someone on the phone who spoke little English and couldn’t understand my complaint. Once I think she finally did she asked if I would prefer a phone call or email back, I requested a phone call and of course I received an email. Something about read the terms blah blah blah. It’s unfortunate being a long-time customer that has booked many rooms with them, the first time I have an issue they did not handle it properly. It turns out if you contact hotels directly most times you can negotiate the price to lower than what hoteltonight is offering since they take a $50 cut of what you pay. Save your money and don’t use this app. You’ll also be saving yourself from a headache if you ever have an issue with a booking. I’ve used HT for a while and like it’s simplicity. No issues when it works. But this past month I booked a room in NYC for 2 nights. The night before, I got an email saying there was an issue with the hotel and they were not able to accommodate. Both nights. So I called, HT said they would create a credit and a bonus $100 for the inconvenience, and I could book someplace else immediately. So far, the service was solid. But then, a couple of weeks later, I noticed that Both the cancelled booking and the new booking were charged to my credit card. I called HT, figuring they would easily accommodate the refund of the cancelled booking since they told me I would receive a credit immediately. No. It was a hassle. And the person I was dealing with kept insisting they did nothing wrong - even though they said a credit should have been immediately added to my account. They said I booked the second hotel too fast for the credit. Well, that’s not immediate. They said I should have noticed this in the checkout process. In the end, they credited my money with a stern warning this is a one time thing. But I could have used a bit more empathy from their customer service. It would have gone a long way to me recommending/using the service in the future. I was in Alexandria VA this past weekend and showed up at my confirmed hotel and they didn't have my reservation. I waited at the front desk for about 45 min/1 hour while the woman tried to figure out what hotel I was supposed to be in. She was told that Hotel Tonight moved me to a different hotel. Of course I wasn't notified of this. As she was on the phone with Hotel Tonight who was trying to find me a new reservation (of which there were none in any hotels in the nearby area), I had plans and had people waiting on me. So I had to leave and was stranded without a hotel room bringing all of my belongings with me. I ended up having my father and I sleeping on the couch and the floor of a friend's hotel room. It was the most unpleasant experience I've ever had. And the email I received after I had left was an apology with a $35 credit which would barely cover a mini bar snack. This wasn't just an inconvenience, this was absolutely unacceptable, and they didn't make any effort to make it up to me. And to make matters worse, when I called to talk to someone about this, I couldn't get anyone on the phone because the phones were down! Worst customer experience ever. How would you feel if you were stranded in a city you've never been to with no hotel??? Even when you had a supposed confirmation??? Don't use this app. You might be left without a hotel room. I originally booked a room through them and hadn’t realized that I booked the wrong type of room (1 bed instead of 2), they only have certain room types available. I called support within seconds of booking and said they could cancel it but couldn’t give me a refund, all they could do was offer a credit so I took it and looked elsewhere for that night. The credit was readily available when I came back to the app to book another room days later. I thought I had gone through the whole process of booking this next room but never got a confirmation and later realized it didn’t go through. I tried booking a second time and there was an error with my account and had to call customer service who said my account was flagged but he fixed it and told me to sign out of my account first. I logged out, logged back in and again received an error. I logged out again and then wasn’t able to log back in. I had to call support again who said my account was still disabled and I’d normally have to send an email but he would take care of it. I logged out again and was finally able to log back in and book my room. The whole thing was just a ton of work. Well, let’s just say it was terrible - booked a room at 1pm and drove from Chicago to Indiana with a friend (should I mention she’s disabled) for a concert. We drive straight to the show and upon leaving, I logged into my APP that said “Hey Night Owl, Check Out is at 12pm.” You would think if they GAVE AWAY MY ROOM this message wouldn’t appear on my app. Well, supposedly they “emailed me.” Isn’t this APP for travelers that may not be waiting in a WiFi Spot for an email? Well, the hotel Marriott Gardens couldn’t have been more Ryder. They wouldn’t even look up the reservation or my last name. After spending hours on the phone between Hotels Tonight & the Corp Hotel - a 40 year old (me) and my disabled friend (47) spent an hour trying to sleep as the sun came up and drove 3.5 hrs to Chicago. Hotels Tonight was going to give me a $50 credit and then after I complained - they gave me $75. Ha! Days later I’m still waiting for my $225 REUND Hotels Tonight charged me for while the hotel gave away my room. Let’s just say I wouldn’t be using the credit for anything less than a $225 CREDIT. What a nightmare. Worst app ever! Used this app in NYC and it was a pain hopping from hotel to hotel anyway. I would recommend you save your time, money & precious sleep on NOT RELYING ON THIS “App.” What a joke! This company won’t last long. Try Trip Advisor or a more reputable company. Stole money from us. How? They did not correctly communicate/set up our reservation with the hotel and stranded us until 4 am because we couldn't check in. We kept calling hotel tonight and they put us on hold for hours. We spent hours on hold trying to find out why the hotel had no record of our reservations and couldn’t let us check in and get our rooms. Hotel tonight finally got the reservation over tot the hotel at 4 am and we were then able to get our rooms. Hotel tonight (HT) still charged us for a full night stay for both rooms. Contacted them many times and HT continues to refuse to make us whole for the charge for an entire night. To date no one from HT will respond to us about this and we have no option but to escalate this via BBB and upward for fraud if we don’t get a response and a refund. Watch out for this company - they seem fine at first but when something goes wrong ie you can’t check in until 4 am in Las Vegas like us and it’s HT’s Fault, they won’t help you and will take your money and won’t give you a dime back or an apology. You also can’t get anyone on the phone that is in a leadership role and they refuse a call back option with a manager. Not worth it - they will probably be sued in the near future as I am sure I’m not the only one this has happened to. The process seemed very simple, but after the first attempt to book a hotel for the night to come at a certain price that was advertised online the app seemed to give me a random night almost three weeks from the night I intended. Then when I called customer service they were able to cancel the reservation and leave me with credit to attempt to rebook. When I attempted to rebook through the app the price had almost tripled, but I was stuck using it because of the credit I needed to use from the false booking. So I went ahead and booked anyway because I was told the credit would be applied automatically, however when I actually booked there was NO option to apply the credit. So I assumed the credit had been applied, until I checked my online banking to find the entire price had been charged. No I was out almost 400$ on what I thought would originally be roughly 100$ Charge. The only reason I don’t give zero stars is because after another conversation with customer service the customer service was reasonable to work with and ended up refunding the initial charge instead of leaving me with credit to spend. At least that’s what they said they would do but it may take up to 5 work days to see it, and I’m still waiting to see. I booked a room with a hotel that refused to let me check in upon arrival (no evidence of my reservation, even though I was charged by hotel tonight). I tried for 5 days to rectify the situation via hotel tonight’s customer service, but they refused to refund the charge (FYI it was ~$100 — a drop in the bucket for them), and I finally had to refute the charge via my credit card company. All of a sudden, the ABSOLUTE CROOKS at hotel tonight suddenly became 10x as engaged as they’d been throughout the initial process, using lawyers to send a long document to my credit card company outlining how all sales were final based on their terms that I (regrettably) agreed to without reading the fine print. Obviously this was incredibly immoral on their part, and I probably could have had it overturned in court, but I have neither the time nor resources to fight such a large organization — regardless of how clearly crooked they were for charging me for a stay that I couldn’t complete due to an error on their part. In short, DO NOT use hotel tonight unless you are willing to take the risk of showing up to your pre-booked hotel and not being able to check in, and then being charged for it anyway. I have never in my entire life had a worse customer service experience or despised a company more. The good: cheapest price on a hotel The bad: The first two times we booked through Hotel Tonight when we got to the actual hotel, they did not have any reservation for us. My wife spent 10-15 minutes on both occasions calling Hotel Tonight’s 800 number and they got it straight both times. A wasted phone call and wasted time on both occasions. The worst: The third time I used them I happened to call the actual hotel a few days prior to arriving to verify my reservation only to find out,once again, that there was no reservation for me. So ... I called Hotel Tonight’s 800 number again and Jose said he got it “fixed”. I called the hotel again two nights before the trip and they confirmed that I had a reservation, but that it was cancelled by the same company that booked it. Hotel Tonight. I went ahead and made a reservation directly with the hotel and called Hotel Tonight’s 800 number again to get a refund. After explaining my history of experiences with their company and verifying what had happened they called me back and offered me a “CREDIT” on my account with them, not a refund of my money for their mistake. Needless to say, not only would I not recommend this site, but will be filing a case with the Better Business Bureau. Buyer beware is an understatement. Scam and fraud are the words to describe this app, it’s advertising, CSR and management depts. They post “whatever the property they advertise give them” they offer no credit or refund for False or fake info on their app! They point the finger at property and say it’s the property’s fault and only the property issues credits and refunds! Be sure to do your homework and call the property before paying this app any money because you won’t get it back even when they are clearly wrong (I can prove it, even though after my booking they went in and changed “updated” the wording on the property” I have pictures of how things were worded “restaurant on site open daily” “happy hour daily” not the case at all!!! We want to warn people to stay away from this app!!! They also have a $25 credit for referring a friend, that’s how it reads, no small or fine print with the “policy” friends are unable to use the credit and since my nightmare aren’t ever going to use this app. Just do your homework, the negatives here far outway any positive post given. I wouldn’t be surprised if they are posting their own positive reviews. That’s how incredibly shady this company is- Scammers, lack of customer service, false advertising!!! I’ve used Hotel Tonight once and I will never again. The hotel that I booked through Hotel Tonight canceled my reservation and told Hotel Tonight but Hotel Tonight never contacted me. So I trekked the the hotel on New Years Eve in Sydney, Australia only to find out, I didn’t actually have a room. I was on hold with 2 different Hotel Tonight customer service reps for 40 minutes and was given different stories each time and wasn’t given a comped room anywhere else because it being New Years Eve, everything was either already booked or ridiculously expensive. Meanwhile their app still showed my hotel that evening as confirmed with instructions on check in time, etc. and the next day, the app asked me to rate how my stay was... seems shady considering that my reservation was canceled. When I emailed their customer service to ask why the app still showed the reservation, I never got an answer. Nor did they ever send an email that showed that my credit card was refunded, but luckily the refund did go through 8 days later. So stay away is my advice, there are plenty of other last-minute hotel options to book with that aren’t shady and treat their customers better. I flew to Atlanta on June 23rd, 2018. I booked an hotel through this app. When I arrived at my destination. The guy at the counter asked me for my name. I gave him my information. He confirmed that I had a reservation, but they were overbooked. I was furious. I asked the gentleman at the desk, what would he suggest that I do since it was late and I was allowed to book the hotel. He said, “ I can just cancel your reservation, and you could reach out to the hotel tonight and get reimbursed.” He suggested that I go to another hotel that was 5 minutes away. I asked him for his information and a cancellation number, so I can have proof that he cancelled the reservation. He gave me the number. I left and booked another hotel that night on my American Express which I have on my statement if they needed proof. I called hoteltonight in the morning and the guy put me on hold for 30 minutes then told me his shift was going to be over soon and someone else was going to takeover and called me back. They never called me back. My bank disputed the charged and put the money back on my card. 3 months later I see the charged again. My book told me I lost the dispute. I will never used this app again. I love using Hotel Tonight while vacationing! Like everyone else, I always want to save money on accommodations - thinking that it you only need to go there to sleep at night. But, the saying “you get what you pay for” is especially true with hotels. The cheapest rates are often at places that you wouldn’t want to stay at. Their poor reviews are a result of problems with cleanliness, maintenance, or just the overall shabbiness of the property. With Hotel Tonight, I was able to get awesome, luxurious rooms at substantial savings. Once, I booked a high end hotel in Anaheim, near Disneyland for less then the nightly rate of a Quality / Comfort Inn. I was gawking at the glitz of the lobby and the marvelous room. Another time, while in Miami, I booked a room and ended up getting a luxurious suite just a block from the beach - with a leather pull out couch, a stove, and ... a washer and dryer???!!! At about half the usual rate! I used Hotel Tonight to book a hotel room 6+ weeks ahead of a planned trip. Due to a family emergency I needed to cancel the trip two and a half weeks ahead of the scheduled stay. I called the hotel directly and they were very understanding and said that they could cancel the reservation with no penalty without issue, they just needed a call from Hotel Tonight because they booked the room on my behalf. After some back and forth I convinced Hotel Tonight to call the hotel and request a cancellation which they did (the hotel of course obliged without issue) but Hotel Tonight has refused to refund my money, instead holding it for “up to one year in the form of a Hotel Tonight credit”. Their proposed solution is unacceptable and I will be following up further but buyer beware. They are adequate for last minute bookings but for anything that is further out than 24 hours, I would highly recommend a company with more common-sense customer service policies such as Expedia, Travelocity, or Orbitz. It’s a shame, they’ve lost a 2+ year customer based on shortsighted and unnecessarily restrictive policies. Not the people you could trust if you ever experience a problem at your stay. I had been using the Hotel Tonight app for years and so far all seemed good to me for the convenience and ease. But my most recent booking turned out some issues. I booked for two nights at the Monte Carlo in Brampton ON, and sleep was impossible due to people yelling and fighting, hitting the walls and also fighting in the hallway. This went on all night and morning. The hotel manager tried accommodating my complaint but I want a refund at this point. Called Hotel Tonight and spoke to Oscar and he was not helpful. Horrible experience in a foreign country and the people who you are giving your business to basically do not care to help right their wrongs. I left the hotel and I’m going to pursue a full refund. I do not recommend Hotel Tonight for customer care. You are on your own should there be any problems and they have what seems to be an absolutely no refund policy no matter the circumstance. In speaking to Oscar it was made clear to me that Hotel Tonight’s customer and priority is the hotel and not the people who use their app. A backwards business model...smh! This company is hit or miss. I have actually walked away from a hotel and was refused my money back because there are no refunds no exceptions. the hotel looked like it was on the middle of death row and was under major construction with tarps and tents covering it. I was traveling alone (female) and felt so unsafe. The pictures posted on this site are often misleading. The areas which the hotels are located are not well explained for those not familiar with the area. I understand this app is for last minute stays, but I’m not desperate, I’m just searching for a fair rate. On the other hand I have had about 3 stays that were very nice, however those places are no longer offered through the app. I’ve used this site about 20 times and I would say have had 3 good stays out of 20. If you just need a bed I guess this is the app to use. If your looking for R&R, with some nice amenities, don’t book through this app. The savings aren’t all that great to begin with. Spend the additional money and plan a little better for a quality night away from home. I've gotta say I'm surprised at all the negative reviews. I just returned from a trip to Laguna Beach and the hotel I booked through HT was fantastic, just as pictured. I wouldn't have given the place a second thought passing by but the pics looked so good and the room in person did not disappoint. I used it exclusively last year on a solo cross country trip as well. It was a great resource because I had no real itinerary. This was a 2 month trip where I moved on average every 2-4 days. That's a lot of bookings. The listings clearly state the fees so I don't know why people are being surprised. Just make sure you look at the location on the map thoroughly and read the listings! Granted, if there are bug issues that's another story and I would agree it's out of their control in some cases, with proof I would think they should offer a credit. 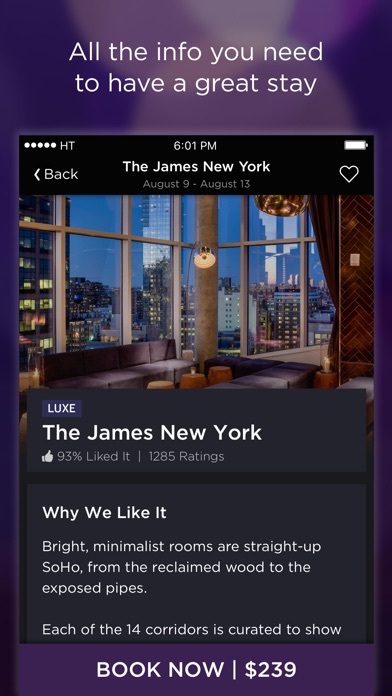 Just over a year ago, the Hotel Tonight app was recommended to me by a friend. Since then, I’ve used it to book half a dozen hotels. Not once have I been disappointed. The hotels I’ve found through this app are more beautiful than you can imagine. The staff have always been welcoming. The rooms have been spacious and we’ve always had a great view. Recently, we booked a hotel only to discover that it was in the path of a natural disaster. Knowing the hotel stays are non-refundable, I called the help line without much hope for getting my money back. I was pleasantly surprised. The phone operators were all extremely helpful and pleasant. They assisted me quickly and were able to grant me a credit. I highly recommend this app to anyone looking to get away for the weekend. My favorite hotel app, no contest. I have used hotels tonight 3 times and the first two times were very smooth and a good experience. The third time I showed for a two night stay and the hotel did not have me registered. I had to scramble and book a room through a hotel chain at a Much higher rate in a city 40 miles away. It was a stressful experience and ruined the middle of my multi-city tour of the California coast. HT customer service was no help and would not assist in any way to help me find another room. All they would say was that they had given me a credit to be used on another stay booked through HT. I will never use this app again. With a one third failure rate they are extremely unreliable. Also it should be noted that HT did send me an email two days before I was to arrive but the app still showed me as booked. (But why let me purchase the room if they no rights to it?) I did not read the email they sent because it was one of about four other emails they sent regarding promotions etc. You have been warned use HT at your own risk. When we checked in, we were given a room with two queen beds. But we wanted a king. We called down a spoke with nice lady at the front desk. She said she would call me back if they had a room with a single bed available. Next thing you know someone in knocking on our door. It was security with the keys to our new room. I was not expecting that. Plus we discovered about thirty minutes later that we left our house keys in the old room. Spoke to the same lady at the front desk. She said they will get my keys and return them to my room. They did. Then in the morning we were accidentally woken up by hotel staff. I called once again a spoke with a manager about how we were woken up by the staff. She was already aware of my situation and was very apologetic and made things right for us. I would definitely recommend this hotel to anyone. Great place and great staff. I have been using this app for 3.5 years. There are times that the app allows for setting of parameters, such as smoking vs non-smoking, pet friendly, parking $, etc. but most times you cannot set parameters and it is super frustrating at check in. Lately, we used this app on the go traveling across country and supplementing for camping. Each time, there were issues with room being smoking (makes us super sick), the pet fees were incorrect, or even room amount was incorrect. Each time that the issue was brought up, the hotels seemed really upset at the error and refused to be accountable for inaccurate information. This app could be improved just by making sure the information is accurate, especially when traveling with pets and finding room preferences and being able to adjust, even if it narrows the search criteria. I will be looking for a better app to help in the future as this one has become more frustrating than what it’s worth at this point. No Refund for services not provided? I book a hotel specifically because it says in the description it has Self Park. I do this because I’m traveling with a bunch of cases and it’s important for me to have the car not only secure but accessible. I get to the hotel they literally say “no we don’t have parking there’s a parking lot in the area couple blocks away”. After hours of debating with Hotel Tonight support they say that there’s nothing they can do because the hotel does offer parking. As in there’s just a parking lot in the area so it offers parking? The parking has zero association with the hotel they don’t stamp your ticket, they don’t communicate with them, they don’t offer you a discount. But somehow according to hotel tonight because there’s a parking lot within a few blocks(like there is in every major city) this hotel offers parking. All of the support people were super rude about it. Clearly one of those companies that not going to fix the problem or give you a refund they would prefer to just argue with you about technicalities. Have booked a ton through this app and thought it was great until recently. I noticed that when I start looking at hotels in advance then go back into book the prices jumps up 30 dollars. Not sure if the technology tracks which hotels you are viewing and then price jumps you when ready to book. This last time I booked at the higher price again and when I went back into the app to look at the note again the prices had then returned to the 30 dollar cheaper rate. I called HT and talked a super rude agent named Paulo that claimed he was a manager but was the agent that answered the call? I asked if he would credit me the 30 dollars since the price went back down after I booked. He refused and wouldn't do anything to rectify the situation. I have spent thousands of dollars on this app and now they are going to lose a big customer over 30 bucks and bad service. I may look at the hotels on the app but will always book direct now. All the hotels have price guarantees that will Match or best HT prices. This app is hands down. Without question, without hesitation, without any doubt whatsoever, the absolute best Hotel Booking App on the market! First off the app itself is great, very few glitches ever, easy to use, easy to book, excellent features if booking for yourself or others. The staff is incredible, kind, helpful, fun and truly compassionate and dedicated to making guests stays absolutely perfect. In all the years I’ve been with Hotel Tonight, I’ve been consistently treated with respect, kindness, and great customer service. The hotel selections are outstanding and the pricing is always inexpensive and never unreasonable. These people are terrific and I just can’t say enough good stuff about them. It’s a no brainer if you ask me, Hotel Tonight is the only app I use. Been using this app for a couple of years until I got a new iPhone. I accidentally used a different email address when signing in and entered all the same information from before. After booking, I saw that I was starting over with my perks. I talked to customer support and that’s when I realized I created a new account (even though all the information down to the payment method were the same). I asked if they can combine the 2 accounts or at least the points so I don’t lose out on my “HT Perk” Level and the answer was no. I find it hard to believe that in this day and age, an app can’t move OR add/subtract points. The customer service lady even acknowledged it’s been a problem with other customers before. I don’t know...maybe have a fix for it then??? These guys seem to be more focused on the hotel partner acquisition side of the business than the customer care side. Getting a resolution to even the most basic questions can be a nightmare, and they have little ability to positively affect your stay other than in the room rates they’ve negotiated. They should stick with that, and maybe stop trying to do more than offer discounted rooms. 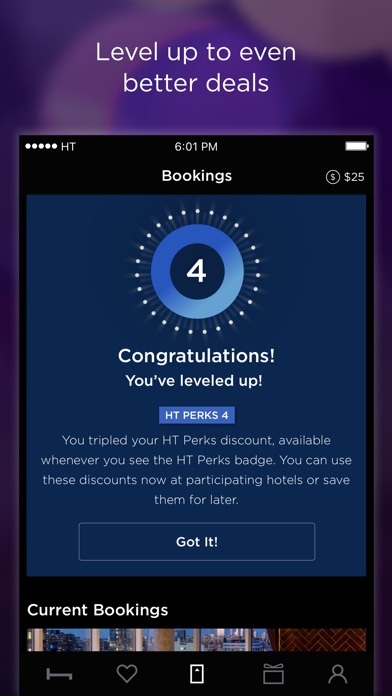 The HT Pros thing is a gimmick without any teeth, and as a lvl 8 member perk person, I can say that they’ve not delivered on their promised rewards (you get a voucher for money off once you hit each level, but at lvl 8, I’ve never received a thing, and customer service starts off well with lots of promises but no follow up). I used to book a lot more with this app, but now I check the hotels’ AAA rates and the rates at HT Tonight, and just take whatever is cheaper...it’s about 50/50, so make sure to shop around. Great app, great deals, customer service? Not so great. I love the app and getting last minute deals. It works great for that. I do highly recommend it. Now if something goes wrong or you have a question for them, I’m lukewarm on their sincerity if they help you or not. I get the impression they think hey it’s an app. I don’t have to interact with these people and I suspect they hire some folks on the lower end who on paper work in customer service and yet have no clue what it means. And whomever owns HT seems ok with that. Fortunately I’ve not been stranded like many here so my issues were minor. So I recommend giving it a try I think you will have fun. If I’m booking for an important event like a wedding, I use traditional methods with major brands that have capacity to help should a hiccup occur. So be smart on how to use this. I’ve used hotel tonight on three cross-country road trips and it’s honestly made traveling so much easier. I can drive until I start to get tired and book a hotel without having to map everything out ahead of time. The rates are really good and get better the more you use the app (also if you wait till after 10 pm hotels will try to get rid of rooms and bump the rates even lower). Best part is the reviews - I feel safe knowing what to expect in a hotel before I arrive. The only time I haven’t used hotel tonight on these past three four day trips from coast to coast, I ended up staying in a seedy hotel that was more expensive than the nice ones through the app. Definitely recommend! Booked a room through the app for what seemed like a great rate for the hotel we were staying at. Was charged immediately after booking, but received no confirmation number.. called their customer service and they couldn’t give me one, they kept giving me their reservation number which doesn’t work on the hotel’s system. I felt pretty uneasy about the whole ordeal so I called the hotel directly and tried to confirm my stay with the name, they had no reservation for us. I called HT back and was told that they had faxed my booking info to the hotel “about 10 times already” but if I had trouble when we showed up to call them and I would receive a credit on the acct but no refund because it’s against their policy... are you kidding me?! Why couldn’t they just confirm my stay now? Why wait til we were left stranded to “take care of us” by giving us credit. Just an awful experience all the way around. Beware of crazy hidden fees!! Honestly I was a big fan of Hotel Tonight. The ability to quickly shop by price and location and book all in one place was great. Tonight I get to the hotel after booking and they ask for a credit card to tack on an additional 20% fee to the price I already paid HotelTonight. I was surprised and contact HT support who told me yes, this was an”resort” fee and hotels can add on WHATEVER extra fees they want. She mentioned that these fees appear at the very bottom of the page under “need to know”. First off, this was a plain hotel, not a resort. Second off, if hotels can tack on whatever fees they want, this ruins HT because you can’t freaking price compare. Why HT wouldn’t make it plain as day what the TOTAL to stay at the hotel is, idk. Other than because they have become a shady company that just wants to show low prices. Terrible policy. Support offered nothing in terms of a discount or anything for this. Big time let down. So I have been using hotel tonight but frankly it’s always gamble when I check in. Sometimes like last night Inns know you are getting a good deal and have given me the standard room or lower explanation is you paid the lowest so you get our most basic room. Nothing like pictures represent! This happened last night in Sonoma at the Sonoma Hotel. My suggestion is the charming inns with sixteen rooms is a huge gamble with little or no amenities The hotels are rarely clear about what room you get each visit so it’s basically scraps but ask to pay for upgrade. I was dismissed basically by front desk in sonoma. Managers that express “ we don’t get your point@ or “ take it up with hotelltonight” Difficult to br neutral on reviews too. I booked a hotel through them and as I was going to my hotel the customer service called me and said they had over booked and the hotel room was no longer available. What! I already had paid and there are no returns on your money. They said we will give you a credit instead. I had to scramble to find a hotel and ended up getting a smokers room when I am not a smoker because all of the hotels in the area were booked. Fast forward to today, I try to use the credit they gave me because it has an expiration date and the app is not user friendly. I accidentally book a hotel because it is so had to use the credit and I call customer service and they say sorry you already booked there is nothing we can do. Really you took my money, gave it an expiration date then can’t apply it to the booking. Poor customer service and they will cancel your hotel and not give you back your money. Beware. After confirming with all of the information given to me by Hotel Tonight (correct hotel, address, nights staying, room type), as well as booking 3 days in advance, the hotel had absolutely NO reservation, meaning I drove several hours to an out of the way hotel only to fond our that my money I spent toward this was now gone, and for nothing. I called SEVERAL times and was placed on hold, given promises for an attempt at a resolution, they NEVER resolved the matter. I was told time and time again various excuses like “our system is down, we are rebooting it, call back tomorrow”, then it was “I have to ask my supervisor but my shifts ending call tomorrow”, and also “it will take a few days to see what we can do, we called the hotel to confirm you’re right but it’s out of my hands, we’ll call you when it’s resolved”. A ridiculously untrustworthy company, I will never use them again. Excellent just don’t like that there’s no 1-800 number at the ready! I had to use the live chat to get through to someone and they gave me the same info I already read felt like they were automated. Wanted to talk to a live person about using my $118 credit they said the particular hotel I was trying to book doesn’t let you use the credit and then when I asked to find a hotel in the area that will let me use the credit was told there was no way of finding that out. Also I had a $25 off coupon for signing up but was told that hotel wouldn’t let me use the coupon. So app promises discounts they really have not control of. It said $25 off my FIRST booking. The app should’ve made sure that was applied regardless. So being that my “first” booking wasn’t with a hotel that allowed the discount now I won’t be able to use on my “second” booking. Very unsatisfied with customer service. I used this app a couple of weekends ago to book a luxury hotel and spa getaway for me and my girlfriend based on the information this site provided such as an onsite restaurant and different spa services. When I got to the hotel, the restaurant was closed and wouldn’t open till later that week and all spa services were either sold out or not available. The luxury room was no bigger than an office cubicle with a bathroom just bigger than a porta potty. Needless to say, we left and wanted a refund. Hotel tonight told us we had to get refunded from the hotel and the hotel told us where we booked through hotel tonight, we needed to get the refund from them. The lack of understanding and customer service from Hotel Tonight as well as their non-caring attitude is why I’m leaving this one star review. The only reason why I’m not leaving anything worse is because there is no option for that. The allure of hotel tonight is great! Offering hotels at lower rates based on inventory. Unfortunately, I clicked on a hotel that I believe was near my house, and when I finished my purchase I discovered that I had unfortunately purchased a different hotel. This is my first time using this app, and I do believe it must have been a glitch. I called the customer service who was polite and friendly, to see see if they could give me an exception, but were unable to do so. The room is for a guest at my house, and it caused him to have to stay 2 miles away from my house, Rather than down the street. I really think that hotel tonight should have more flexibility in their process for first-time users, it was very frustrating that my guest had to travel, and hotel today was very inflexible and unhelpful with their policies. The experience just left a bad taste in my mouth, and I just don’t plan on using them again in the future. I was searching for a room in Tahoe on a Tuesday evening. I reserved one with HT, which at the time was cheaper. I went on the hotel website a day later, and found that the resort fee is much cheaper during the week. I reached out to HT, asked for a price match and they refused. The customer service rep states there’s no other pricing on the direct hotel website, which was a lie. I walked her step by step to get to the pricing I was able to find. I didn’t like that she essentially lied to me. When I caught her in the lie, she said that HT had to stay competitive with rates. Whatever the case, I’m hoping that 1) I don’t have any issues with my reservation and 2) they improve their customer service. From now on, I’m just going to wait until day of before booking a hotel. This place makes you think it’s a deal, but it really isn’t. Best Deals at 4 & 5 Star Hotels!! I used this app a few weeks ago while in Clearwater, Florida on vacation. At the last minute my friend and I decided we wanted to stay in a hotel on the beach. 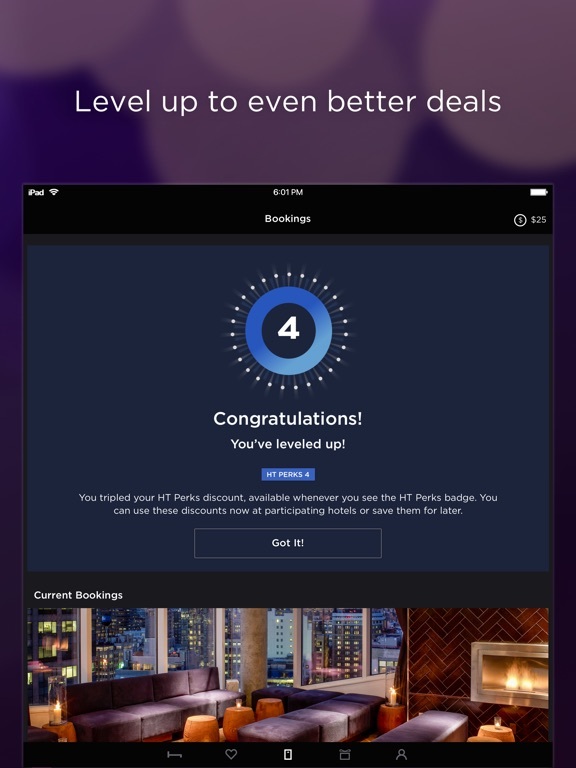 I downloaded several of the other popular apps for hotel rooms but none could even come close to the deal offered on HotelTonight!! We stayed at a highly rated resort that had all of my requested amenities(except no masseuse on site). Even better the front desk employee was absolutely wonderful and very accommodating. I will definitely continue to use this app and already making plans to stay at same resort!! Thanks for making a great vacation even better. Booked a hotel a couple of nights ago through HotelTonight App. Received confirmation, but when I arrived at the hotel it was full and they didn’t have a reservation on file for me. I ended up having to sleep in my vehicle after a long day of travel. After complaining about the inconvenience I am still waiting on my $190 refund, which is going to take 3-5 business days, and a courtesy credit. Considering the app is supposed to be designed to give you the best deals last minute, I am surprised that they are only willing to do a $35 credit for a mistake they clearly made. The credit won’t get me a night at a trash hotel let alone a decent one. I will never use HotelTonight again after using my credit. My advice would be to call the hotel directly to insure they have available rooms before booking through the app.